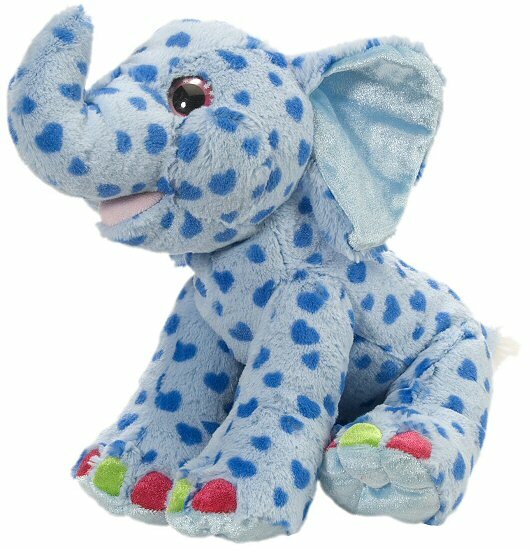 I am a Sweet & Sassy stuffed elephant and our friendship will go down in history, because you know... an elephant never forgets! You are gonna love my cuddly body which is covered in light blue fur with darker blue hearts. (What color would you call my hearts... Royal? Primary? I know, they are the color of those yummy blue raspberry slushie drinks. Mmmm...) I am totally a girly-girl with my colorful hot pink and lime green toenails. The inside of my ears and the bottom of my cute feet are such a beautiful shiny blue, sometimes I think I must glow in the dark! (I really don't, but I feel like I do!) And just take a look into my sweet face and you will see terrific white stars in my beautiful pink eyes. And check this out... 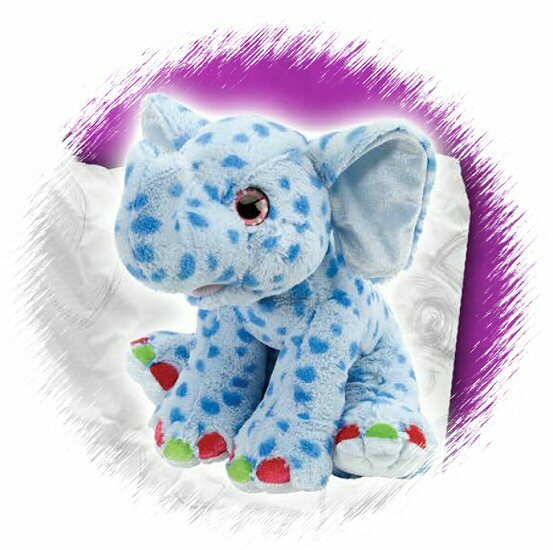 When you purchase me (aka Sweet & Sassy plush elephant), a portion of the proceeds helps to provide housing and education for disadvantaged children, as well as protection for abandoned animals throughout the world. It's definitely a win - win - win situation!